Although Durrell spent much of his life beside the Mediterranean, he wrote relatively little about Italy; it was always somewhere that he was passing through on the way to somewhere else. Sicilian Carousel is his only piece of extended writing on the country and, naturally enough for the islomaniac Durrell, it focuses on one of Italy's islands. 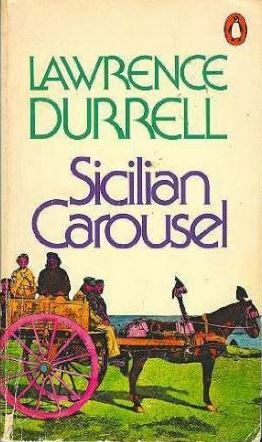 Sicilian Carousel came relatively late in Durrell's career, and is based around a slightly fictionalized bus tour of the island.